Yunnan | Ethnic Minority GroupsYunnan is situated in the south west of China. It is rich in culture and is home to about 25 different ethnic minority groups. Due to agricultural economies that has been very lucrative the authenticity of these cultures are fast disappearing. Traditional villages with houses build from timber are being replaces by cement houses and their dress code is fast joining western styles which is nothing more than a jean, T-shirt and trainers.My aim is to photograph portraits of these groups in their traditional ways before they all disappear. 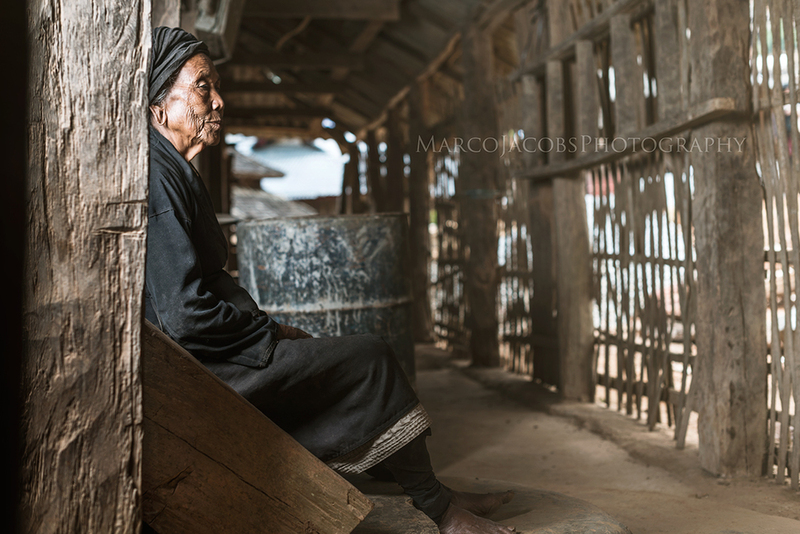 I do not think the culture itself will disapear as these groups are very loyal to their cultures but most certainly the traditional way of dress and architecture is modernizing.I started in Xishuangbanna, about 40 min flight from Kunming city and 2 hours north of the Laos border.My first subject is 83 year old Chegi. From the Jin Nuo tribe in the village of YaNuo. She has lived and worked in the tea gardens for her entire life. 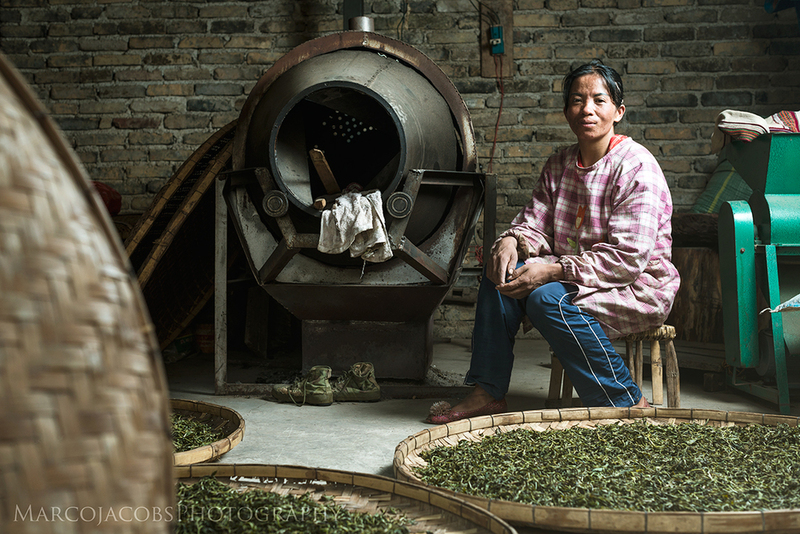 Farming with PuEr tea her son Bu Piao now manages most of the operations.I photographed her in her Kitchen next to the fire where she or her son prepared food for us during our stay with them. Below Portraits: YaNuo Ladies picking tea leaves from Pu Er tea trees.I decided to use controlled light for all of my portraits during this series and will continue doing so until I have completed documenting all of the groups. I would like to maintain consistency in look and feel throughout the entire story. 70 years of age and still working in the tea gardens; his grandson Sha Che.While the middle generation are out working it is common to see grandpa and grandma raising the children. Meet 73 year old Liabing, from the Mangkongdazhia village at an altitute of 1 700m. He was really a character to meet full of energy and enthusiasm in his old age. When I asked him about his life on the Pu' er tea plantations his eyes immediately lightened up with joy! This exact space (front door) is where he socializes and enjoy good times with his fellow villagers. Everybodu in this village were quite jolly and I had fun photographing this particular portraits. 63 Year old Yuna is part of the Yunuo tribe. Feeling feverish she stuffs leaves through giant piercings in her ears which they believe have medicinal powers. Ironically you never see them wear earrings, if it's not the leaves they have in their ears all you see are big loops from piercings that had been stretched over years. About two and a half hour's drive out of the city of JinHong lies the village JiangLang. Here they mainly farm with Tea, Suger and some rice. The Bulang people are dresses in black garments and cover their heads in the same black fabric witch they drape around their heads. They too pierce their ears as young girls and over time stretch the piercing into a big hole. Yukankang is 67 years old and the wife of the village leader. They were also our hosts that cooked for us during our stay there.